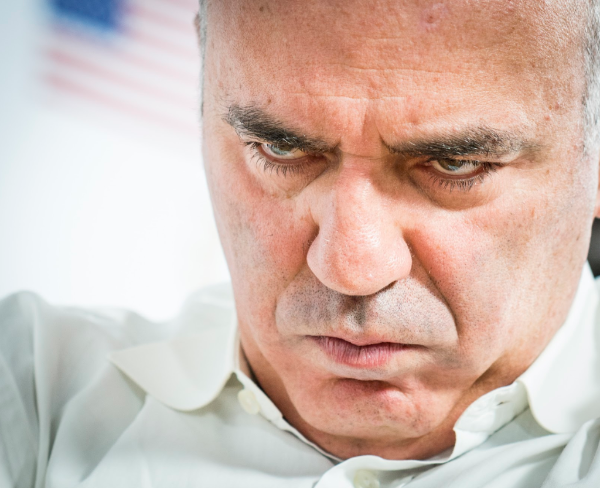 Day 3 of the Champions Chess 960 Showdown showed clear leaders emerging from all of the matches, with some extending their leads quite far. 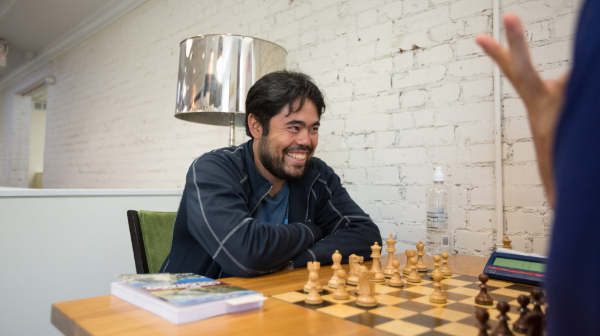 Upon the selection of another random chess position, the players delved into their usual analysis. The selected position wasn’t so random however for Sam Shankland, as he played a series of training games in the exact position in preparation for the event. With 960 different possible setups, the odds of having prior knowledge in one specific position is quite slim. Sam’s eyes lit up when he realized this was the case, and he was happy to share his knowledge with his US Olympiad teammates. 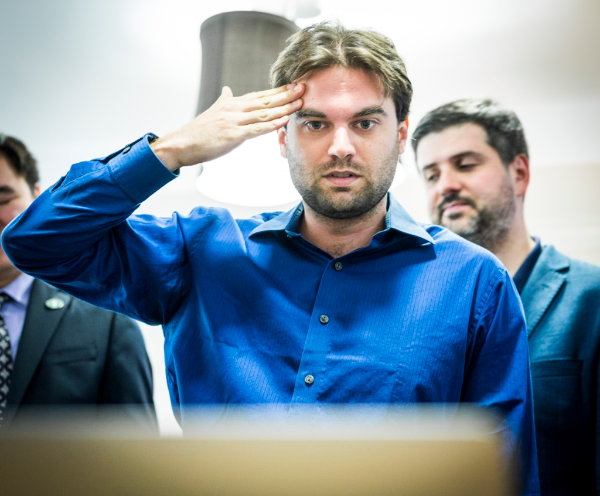 MVL and Shankland were quite tight in competition with the Frenchman leading by just 1 point entering day 3. Unfortunately for Shankland, his prior knowledge of the position had no positive impact on the result. MVL cruised to victory in 3 out of the 4 games. 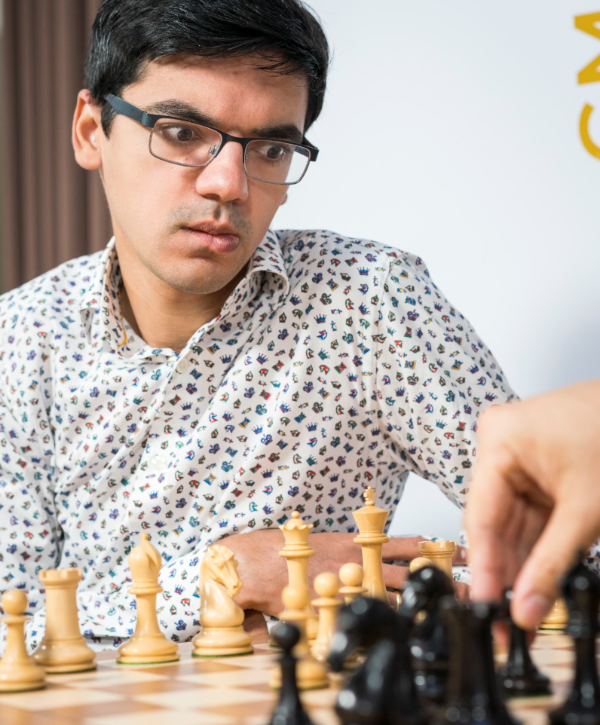 In game 10, MVL displayed impressive chess endgame technique in grinding down a knight endgame with equal pawns. The final stage of the game involved winning knight+pawn versus knight where Sam’s king and knight were too far away to defend against MVL’s lone passed pawn. With a current score of 11.5-6.5, Sam is going to need a miracle tomorrow if he wants to rebound in this match. 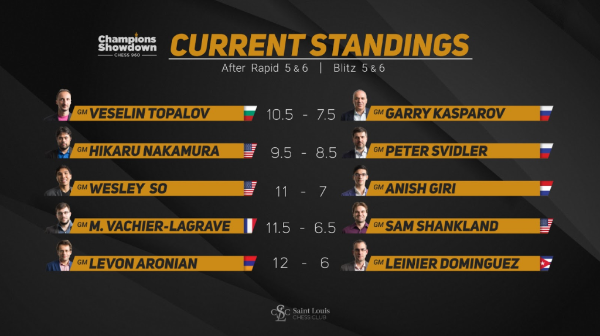 With an 8-4 score in favor of Levon Aronian going into day 3, the Armenian continued his dominant ways, scoring another two victories today. 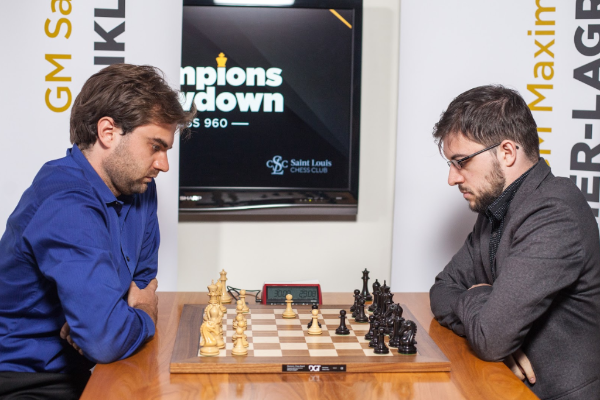 Despite Dominguez’s beautiful combination to win game 12, Aronian leads the match with an insurmountable score of 12-6. 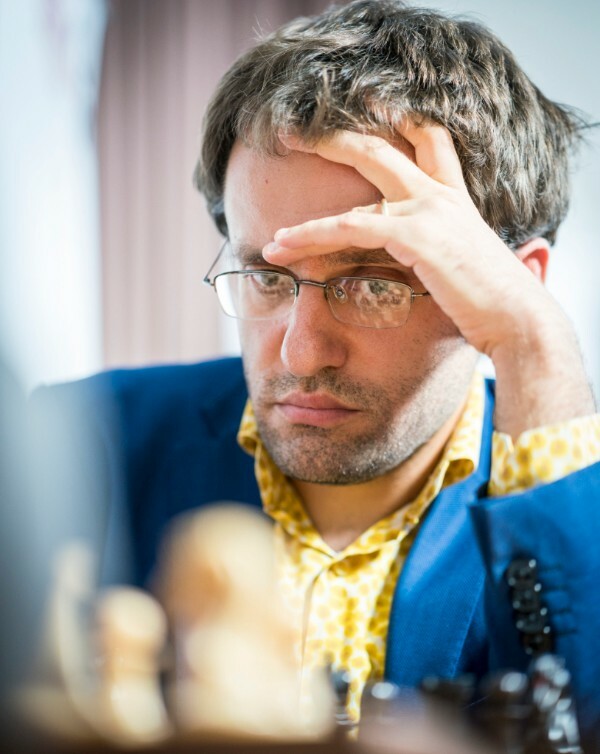 Out of all the chess 960 matches, Aronian has the largest lead. The fourth and final day will see a different format as players will compete in two unique starting positions across 8 blitz games. No player is completely shut out, so the final day is bound to produce some epic chess battles. Viewers can follow the live broadcast starting at 12:50 PM central time.